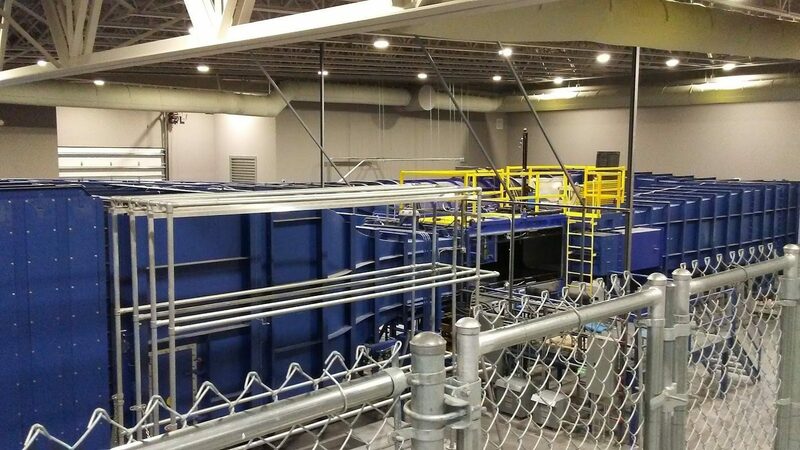 Coleman Goodemote Construction partnered with Embry-Riddle Aeronautical University and PGAL Architectural and Engineering for the construction of the new Wind Tunnel Facility. On completion of this 15,000 Square Foot Facility, it will house one of the largest wind tunnels in the Southeast and the most technologically advanced wind tunnel in the United States. On January 22, 2018, several massive components of the wind tunnel were relocated from the Sheltair Hangar at Daytona Beach International Airport. It took 15 truckloads to move the 200,000-pound newest research device at Embry-Riddle Aeronautical University. The wind tunnel features a massive blue metallic shaft that bends around the center of a 16,000-square-foot building. Inside the tunnel, a 1,200-horsepower motor powers an 8-foot diameter, 10 blade fan capable of producing wind speeds of up to 230 mph – nearly 80 mph faster than the entry-level speed of a category 5 hurricane. Completion is expected in the summer of 2018.